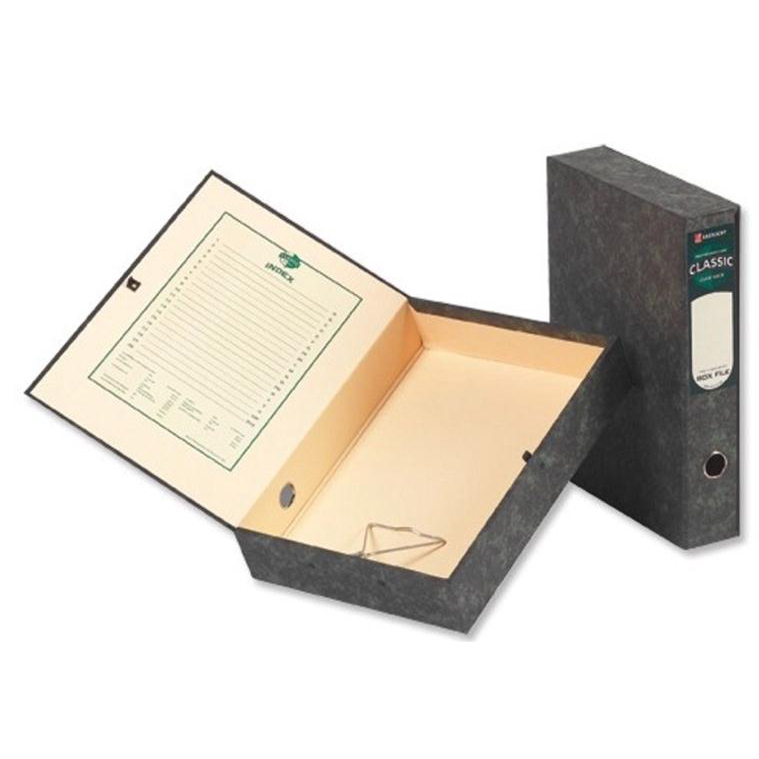 This Classic Rexel foolscap box file has a strong wooden frame for added durability and strength. Designed with a press button lock ensures your documents are stored securely. To ensure easy retrieval, you can use the large label area on the spine for easy identification. Finished in a black and green cloud design, this traditional style box file has a smart cream lining overprinted in green for recording of contents. The large capacity is ideal for bulky storage and a handy lock-spring clip for added security of contents.